Shaman Drums. 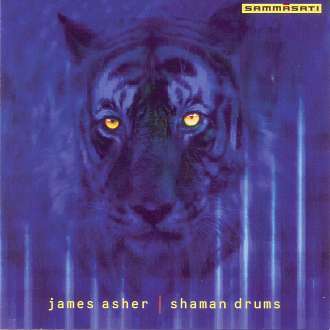 A potent collection of the best of James Asher’s earth-flavoured rhythms, including an unpublished bonus track featuring Indian master drummer Sivamani. Credits : Written and produced by James Asher. Compiled by Bhikkhu Schober and Waduda Paradiso. Guest vocals on track 1 by Christine Collister. Additional drumming on track 1 by Sivamani. Graphic design: Thomas Grignon. Recorded at Starfield Studios, London. Copyright 2002 by Sammasati Music.